A beautiful billingual English-Polish picture book of The Ugly Duckling. An accessible introduction to modern languages, these billingual readers present well known fairy tales with parallel text in English and Polish. Stories are told in approximately 400 words and are supported by modern artwork. The two languages are in different fonts to help distinguish them clearly on each spread. As well as a perfect approach to learning a new language for the first time, these books will be a useful tool for EAL teaching as well. The texts are perfectly pitched for children aged 5-7 and up. 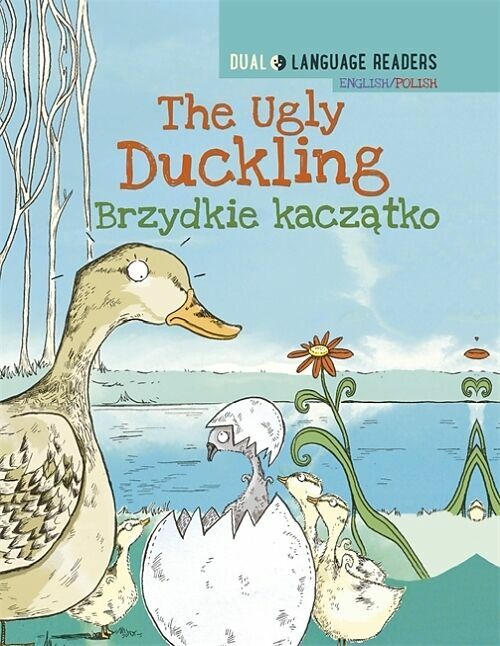 A beautiful billingual English-Polish picture book of The Ugly Duckling. An accessible introduction to modern languages, these billingual readers present well known fairy tales with parallel text in English and Polish. Stories are told in approximately 400 words and are supported by modern artwork. The two languages are in different fonts to help distinguish them clearly on each spread. As well as a perfect approach to learning a new language for the first time, these books will be a useful tool for EAL teaching as well. The texts are perfectly pitched for children aged 5-7 and up.